It's been two years and I really can't believe this blog actually survived for this long! As cliched it may sound, this journey became all the more interesting only because I am fortunate to have you readers and I thank you all from the bottom of my heart. A special thanks to Vee for recommending CSB to his readers. 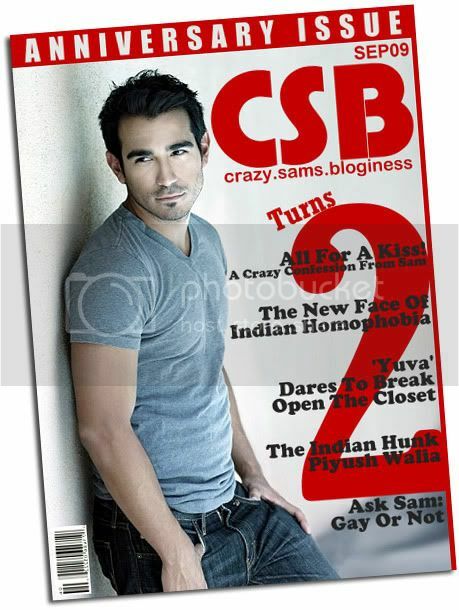 Disclaimer: The guy shown on the cover has no affiliation with Crazy Sam's Bloginess (CSB) in any way whatsoever.